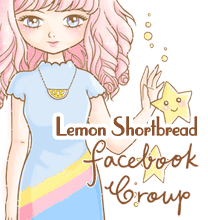 Pink Lemonade Stand by LemonShortbread: FACEBOOK GIVEAWAY! 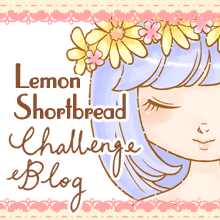 My first giveaway for 2014 and my first giveaway on Facebook! I haven't utilised much of the share function for promotion purposes due to me being a marketing slacker. Also Facebook drives me crazy with all its changes in recent years for maximum monetization (theirs, not mine). I also found out why some of my friends 'liked' their own posts... at first I wondered if they were in love with what they wrote and it turned out that's one of the only ways for your post to show up on your friends' feeds, or else it's just hidden!! Why? I want to see ALL of my friends' posts even those that don't post all the time, in chronological order!! Anyhow I have been doing the same thing. 'Liking' my own post, lol. The giveaway is a set of 3 Wonderland ACEO sized felt prints. The prints are actually iron-on transfers. For a while I was fascinated with them lol. I made several sets but didn't know what to do with them all these years so I'm giving them away. It's easy: just share & like the post (on Facebook) or any of my artworks, or 'Like' my page if you haven't and I'll add your name to the lucky dip bowl! You can also retweet my post about it on Twitter for a chance. I will be giving a few ACEOs away after doing some cleaning and found them collecting dust, so keep a watch on my feeds. I just missed it! But on the plus side, I found your Etsy shop. Very cute!